I have summer squash, have lost one plant, and now another one has the same problem. The leaves turn silver and the plant dies. It may be powdery mildew. Squash foliage is susceptible to this disease. Try to keep the plant foliage dry overnight whenever possible. This can help prevent powdery mildew from getting started on your plants. But powdery mildew can also occur in climates with high humidity. Some gardeners use a spray made of milk and baking soda to treat or prevent powdery mildew on plant foliage. I've noticed that all my plants with "hairy" leave are much more prone to developing these symptoms. I think the "hairs" on the leaves trap moisture, and give the mildew a chance to grow. Join in and write your own page! It's easy to do. How? 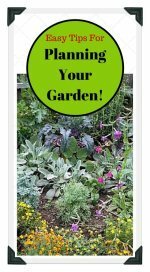 Simply click here to return to Vegetable Gardening Questions. I have a small outdoor raised garden with three cucumber plants that have loads of blossoms but no fruit. My son tells me they are all male flowers. We have no other flowers, either planted or growing wild in the grass, so I don't think they are getting pollinated. I've got other vegetable plants that are producing fruit: tomatoes, zucchini, and peppers. Is there something I can do to make my cucumber plants produce? The male flowers appear first on cucumber plants. So hopefully the female flowers will appear soon, as they are the flowers that actually produce the fruit, once they have been pollinated by the male flower. I live in Arkansas, I have planted acorn squash and having good results. But when I cut them off the vine, I have noticed a couple of them drip at the cut stem. I can't make them quit and it is a sticky substance. I leave about 1 to 1 1/2 inches of stem on the squash, but some still drip. They are hard, I can't dent or stick a thumbnail into them. I cut and ate one last night that had dripped, and it seemed alright. But what causes it and what can I do about it? I am storing them in sleeve-type net produce bags. I put a squash in, tie a knot and add another squash, tie a knot, then hang the string in the storm cellar. This keeps them off the floor and not touching each other. But I want to keep them if possible for winter use. And the dripping stem is a problem. The only thing I can think might cause this is if you pick the acorn squash before they are quite mature. Usually the stems are quite dry when we pick our squash. Maybe you could try leaving them on the vine a bit longer next year? I love your storage idea. What a good way to store acorn squash! I have not had this problem. Anyone out there with any other ideas? How do I grow my crooked neck squash vertically? Can I use a tomato cage? Yes, you can use a tomato cage, a fence, trellis, or any other support that you have available. When the squash plant begins to grow, just train the vines by placing them on or around the support that you want them to climb. You will need to do this several times, as the plant will continue to send out new growth that will sprawl on the ground if you don't help it get started climbing the support structure. Hills or Mounds for Zucchini? For planting zucchini I've read to plant in hills and not mounds because mounds will dry out; so what is the difference between a hill and a mound? Hills are just small mounds. Some gardeners plant their zucchini and other squash plants on mounds. Zucchini mounds are usually about 6-12 inches tall, and about 30-36" in diameter. If you build a mound for planting zucchini, be sure to slightly indent the top of the mound so that all the water doesn't run off the mound. It isn't necessary to build a mound or a hill when planting zucchini. They can be planted on the same level as the rest of the garden. But the advantage to building a mound is that it provides excellent drainage between watering or if you have a heavy rain. Also the soil can warm more quickly at the start of the growing season. Do the cucumbers emanate from the male or female flower and is it necessary to do anything with them? The cucumbers grow from the female flower on the cucumber plant. The male flowers bloom first, and after there are sufficient male flowers blooming on the plant, the female flowers begin to bloom. The male flowers pollinate the female flowers, and voila! baby cucumbers are formed! No, it is not necessary to do anything. This process will occur naturally in healthy cucumber plants. What does it mean when the squash leaves are turning yellow? Too much watering? Generally, squash leaves turning yellow is a sign of plant stress. The stress can be from too little water (they need about 2" a week), a pest called "vine borers", an iron deficiency caused by over-watering, or a disease called "Bacterial Wilt". If you suspect that you have been over-watering, I would recommend that you lessen the amount of water to about 2" per week, and apply some fertilizer that includes chelated iron. I usually grow my tomato and cucumber plants from seeds. My question is, why do the store plants have much thicker stems than my own plants? Is it fertilizer or not keeping my plants warm enough? Please help. It's hard to say what the problem is without knowing more about your situation. Are you growing your tomato and cucumber seeds indoors? Or do you have a greenhouse? Commercially grown vegetable plants are in a very controlled environment. 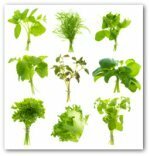 The temperature, humidity, light, air flow, and water are all kept within a certain range for optimal plant growth. Your seedlings might not be getting enough light, warmth, or air flow. Sometimes it is necessary to use a fan to create some air movement. The plant stems will grow sturdier when there is some air movement to resist. It is also helpful to use an all-purpose fertilizer when growing your own garden plants from seeds. I planted cuke seeds in a peat pot (Jiffy Pots) and followed all directions. Within 4 days a shoot approximately 3 inches high is present. The first "true leaf" has not yet appeared, but I am afraid the shoot will become too weak. What should I do? Also there appears to be some "fuzz" at the base where the shoot has come out from the seed. What is this and is it harmful? If your seedling is growing too tall without forming leaves, it could be that it has too much light. Try moving your pots a few inches farther away from the light source if possible. The "fuzz" is probably a fungus. This can happen if the soil is too wet and/or doesn't have enough air circulation. You want the soil to be damp, but not soggy wet. You can use a small fan to keep the air moving around your seedlings. You can also use some hydrogen peroxide on a Q-Tip to gently remove the fuzz from the base of the seedling. I hope this helps...good luck, and let me know how it turns out! Can you grow cucumbers upside down? I don't know. I haven't heard of growing cucumbers upside down. I was surprised when I saw tomatoes being grown upside down. If anyone out there has any experience with growing tomatoes or cucumbers upside down, please let us know! How do you get rid of powdery mildew on cucumber leaves? It's hard to get rid of it once it is established. If you catch it early, you can remove the infected leaves and get them away from the garden. Some gardeners have success with spraying the cucumber leaves with a mixture of milk and baking soda. Mix together, and spray on the top and bottom side of the cucumber leaves. To prevent powdery mildew: Water your garden in the morning so that the plant foliage is dry overnight. This helps a lot. First, thanks for the great advise about my cucumber seeds germinating and how to get them fungus-free and growing true leaves. The hydrogen peroxide did wonders. The grow light, however, doesn't seem to be helping. The shoots were already about 3" high when I got them under the light (about 3-4" away). Since then, they are just getting leggier and leggier (a word?) and a week later still have not put out their first true leaves. They have grown about 1" more and are now falling all over the other seedlings in the tray. Can I go ahead and plant them at least in a pot? And should I pinch them back? Help! When you asked me about your seedlings last time, I gave you the wrong advise. Usually when seedlings are tall and spindly, it means they are reaching for light. However, too much light can also be a problem, as the seedlings will grow very quickly, and won't have time to develop properly. It sounds like your cucumber seedlings are getting too much light. They are growing too fast. Make sure they have either indirect sunlight or a grow light for only about 10-12 hours per day. If you are using only a grow light for your seedlings, move the light farther away from the seedlings, and be sure to turn it off after 10 hours per day. If you are using natural light in addition to the grow light, you might have to move the seedlings a foot or so out of the direct sunlight. This will slow down their growth. I wouldn't transplant them or pinch them back. They need to "bulk up" a bit first! Please let me know if this helps correct the problem. How Often to Water Cucumbers? I live in Las Vegas, NV I planted some cucumber seeds last week. I need to know how often I need to water them. I see vines all ready starting to grow. Cucumbers need to be watered more frequently than many other garden vegetables. The cucumbers may develop a bitter taste if they do not receive enough water. Some cucumber varieties are less prone to bitterness than others. Look for the word "sweet" when buying cucumber seeds or transplants; that may help a bit. But in general, try to keep the soil around the cucumber plant roots moist, and from ever drying out completely. The soil should be damp, but not soggy-wet. During hot weather, I water my cucumber plants daily. The cucumber fruits develop quickly, and need a good amount of water to grow plump, sweet, and juicy. I am experiencing problems with early drop of my pumpkins. It has been happening every year I try to grow them. They flower, I hand pollinate them, they get to tennis ball size, turn yellow, and drop off. The variety makes no difference. I'm so sorry, but I have no idea what is causing this problem for you. Have you tried asking a gardening specialist in your area? Hopefully someone will have an answer for you. If anyone reading this has any knowledge or experience with solving this problem, please leave a comment to help Roger. Why are my squash getting bottom end rot? We have tomato plants right next to them and the tomatoes are going just fine. There is nothing wrong with the leaves; just the fruit is affected. Both our yellow and zucchini squash plants are affected. This problem is called squash blossom "end rot", and it is associated with a calcium deficiency in the soil, and also with uneven watering conditions. You can amend the soil around the plants with some calcium-type fertilizer such as lime or sea kelp. Perhaps you had a lot of rain, or conditions that caused pools of water to form under the developing squash. This can contribute to the problem also. We are growing buttercup squash and my husband was cutting some dead leaves and accidentally cut a good vine with two of them on it. One weighs one pound and the other 10 ounces. Can we eat them? If so suggestions on cooking??? If the skin is soft or tender, you could slice and then saute or steam them. Or peel the skin if needed before cooking them as you would any other type of vegetable. How do I plant crook neck squash in my garden? Purchase the crookneck squash seeds or small transplants from your local garden center. If you are using seeds, you can plant the seeds in rows or hills. Plant the seeds one inch deep. Cover with soil gently pressed down. If planting hills, plant 4-5 seeds per hill in your garden. After planting the seeds, water them lightly. If there is no rain, water the seeds every two or three days until they sprout. The soil should be damp, but not soaking wet. After the crookneck seeds have sprouted, keep the healthiest looking two or three squash plants in the hill. Cut out the extras seedlings with scissors, rather than pulling them up, so as not to disturb the roots of the remaining plants. Follow the spacing instructions on the seed packet you purchase, as there are different varieties of crookneck squash, and they each have their own spacing requirements. How Much Room is Needed to Grow Cushaw Squash? Can you grow cushaw in your garden and how much space is needed? Yes, cushaw squash can be grown in a home garden in southern and southwestern USA. It is heat tolerant, pest resistant, and therefore pretty easy to grow. It needs quite a lot of room. I would allow 4-6 feet or more of garden space per plant. I've heard that the cushaw squash store really well for winter use, and make great pies and baked squash dishes. Hope you can try it!